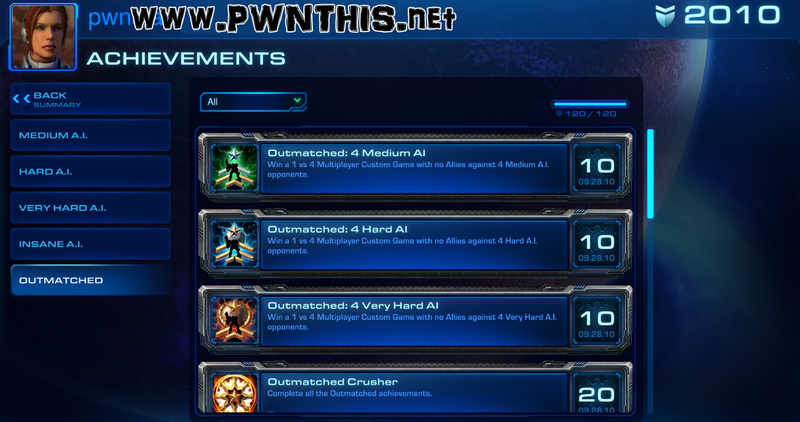 Anyway, this glitch is still working for the Latest Patch 1.1 and is obviously for people with an Original Copy of Starcraft 2 as I believe the pirated/cracked game does NOT save achievements. Now just add 4 other AI. 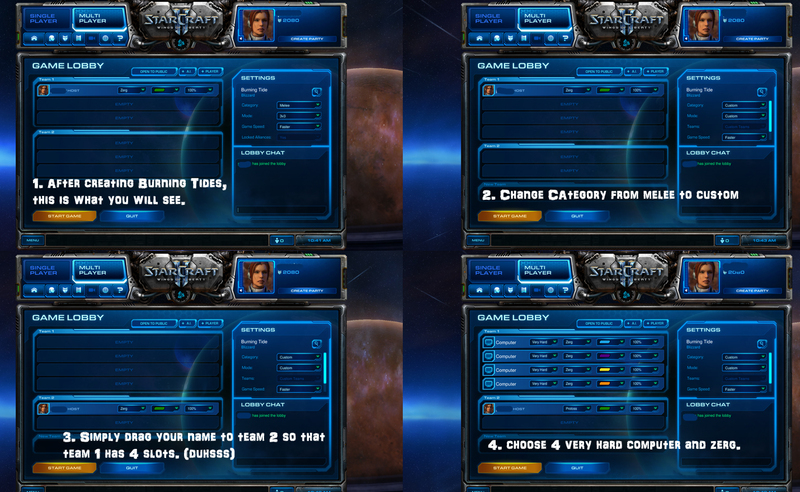 Select PROTOSS as YOUR race. Select Very Hard and ZERG as the 4 AI's race. Once the game starts, keep building probes. At 8 supply, build a pylon. Always chronoboost when it is available! It spawns your probes a lot faster. So just keep making probes, mining and you will unlock this achievement. - You will have TWO other expansions. So a total of 3 base at the end. - The entire game only required 4 pylons in total. Check the screenshot to see what you are doing wrongly. Coz it definitely works. Click on image to enlarge view.